I was reading this week’s column by Rabbi Kalman Packouz and found a few points that might actually apply to those of us who are “Hebraically-aware Gentiles.” He was discussing Purim (which begins this Wednesday evening at sunset) and Happiness, but I’ll start with something about Shabbat. What does it mean “a complete rest”? Rashi, the great commentator, tells us that rest on Shabbat should be a permanent rest and not merely a temporary rest. 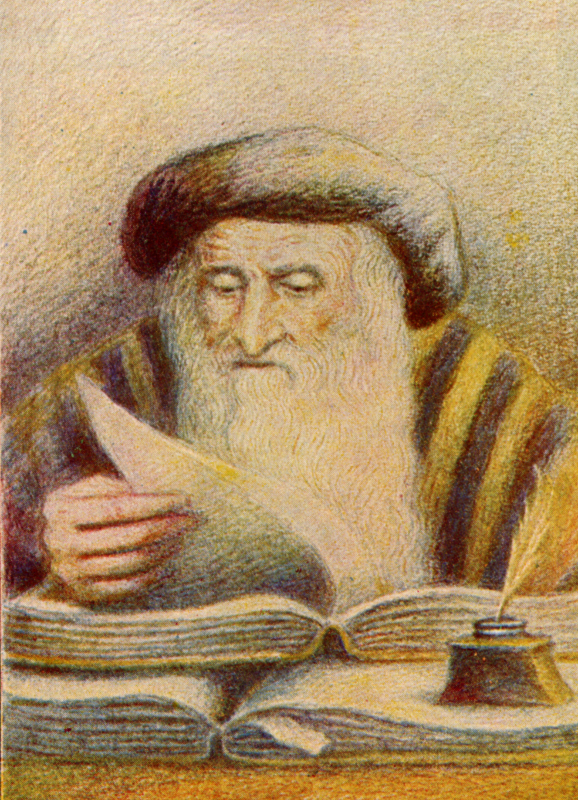 Rabbi Chaim Shmuelevitz, the former Rosh Hayeshiva (Dean) of the Mir Yeshiva, clarifies that a temporary rest means that a person has not really changed his inner traits, but he merely controls them on Shabbat. He still has a bad temper and has a tendency to engage in quarrels, but because of the elevation of Shabbat, he has the self-discipline not to manifest these traits. The ultimate in Shabbat observance is that a person should uproot those negative traits which are contradictory to peace of mind on Shabbat. One needs to uproot such traits as anger and the tendency to quarrel with others. Only then is your rest on Shabbat a complete rest. It is not sufficient for a person just to refrain from the formal categories of creative acts on Shabbat. 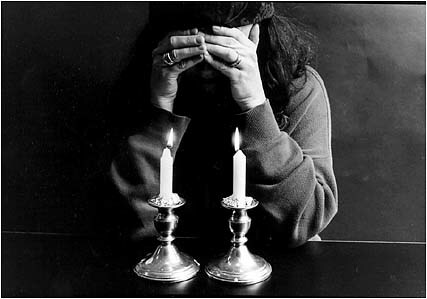 Shabbat is the gift of peace of mind. This is not considered righteousness, but an essential aspect of Shabbat. Only by being a master over your negative emotions can you have true peace of mind. I know the Shabbat can be one of the many “touchy points” between Jews and Gentiles in the Messianic and Hebrew Roots communities. If you are of the belief (as am I) that all of the parts of the Torah apply exclusively to the Jewish people and only certain portions can be said to apply to the rest of humanity, then you are left with the question of what should a Gentile do for Shabbat (if anything at all)? I know all the arguments (I think). Hashem sanctified (made Holy) the Seventh Day and “rested” on it (God doesn’t get tired so He doesn’t “rest” in the conventional sense). If the Sabbath was created well before the Torah was given, how can it be a “Jewish-only” thing? But then there’s the fact that the Sabbath is a sign of the Sinai Covenant which was indeed given exclusively to the Children of Israel. Yes, the “mixed multitude” was there, but in receiving the Covenant, they became permanent residents within Israel and on the third generation, their descendants were absorbed into the tribes. No, there’s no leverage for saying Gentiles received the Torah at Sinai as well. 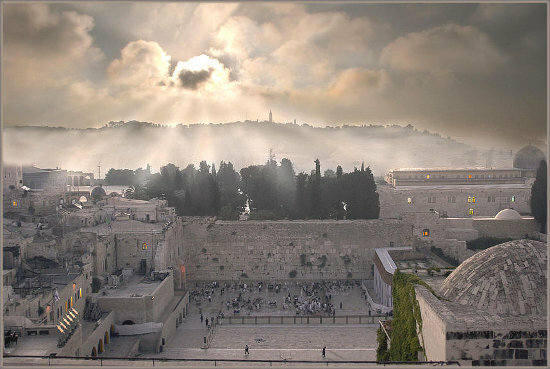 However, Isaiah 56:1-8 famously declares that “foreigners who keep from profaning the Shabbat…will be made joyful in Hashem’s House of Prayer” (Holy Temple in Jerusalem). So how do those two contradictory viewpoints resolve? It’s been suggested that how a Jew and Gentile approach the Shabbat has fundamental differences. A Jew observes the Shabbat while a Gentile merely recognizes its holiness. But what does that mean? People often think that the secret of happiness must be some hidden Kabbalistic mystery or exotic activity. The truth is that it’s simple and easy to understand. It’s something every person knows, but just doesn’t focus that he knows it. Happiness is not dependent upon material acquisition. There are plenty of people who have what you desire and they are not happy. In my opinion, we “Hebraically-aware Gentiles” were never given the full set of Torah observances were the Jews (Acts 15 backs me up), so a lot of us have gone through what I call “Torah envy.” We want what the Jews have and some folks out there go right ahead and claim it for themselves through one process or another. But according to the Sages, who is rich? He (or she) who is happy with their lot. That is, it’s very possible to be happy and not have everything someone else has and in fact, even if you had it, that possession might not make you happy. Going back to R. Pliskin, the character and nature of any given Jewish person doesn’t change on the Shabbat. The person with a bad temper still has a bad temper. However, in honor of the Shabbat, he/she choses not to express it (in Judaism, some believe Hashem grants the Jew an additional “soul” on the Shabbat). 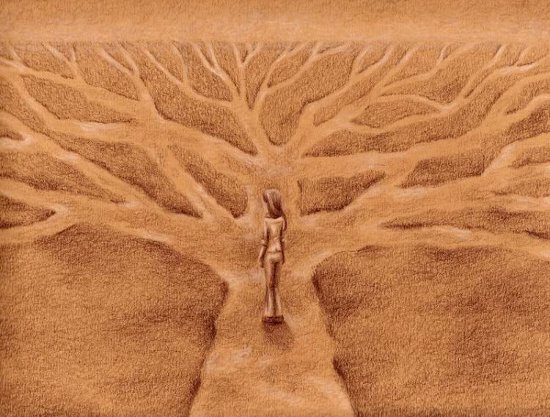 Even more, you can use the sanctity of the Shabbat to learn to permanently “uproot” negative traits and generally become a better person over time. If the non-Jew was not given the Shabbat relative to all of the specific observances, we can still choose to honor God as Creator of the Universe (and all human beings were created by Hashem) by “elevating” ourselves and choosing to be a little happier than we are the rest of the week or even choosing to become better people over time. We can take the life we’ve been given (not everyone can be Jewish) and appreciate what we have been granted by God rather than bemoaning our state as a non-covenant people. After all, through our devotion to Rav Yeshua and by his merit, we have been granted many of the blessings of the New Covenant without being named recipients. On Facebook, I found a link to a YouTube video titled Can a Noahide/Non-Jew Keep Shabbos? and naturally I was intrigued. I should say that I have a pretty good idea how an Orthodox Rabbi would answer that question, but I watched the video anyway. 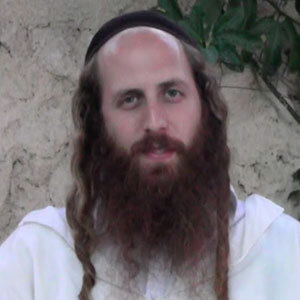 Rav Dror Moshe Cassouto brings to us rare honest pure Emuna principals of Rabbi Nachman. Our hope is that our Torah Videos will bring you closer to the Bore Olam (Creator of the Universe) and to serve Him with joy, faith, and trust (Simcha, Emunah and Bitachon). Learn the real meaning of life, the real purpose in life available to you today! Find Fulfillment, Acceptance, Purpose for your life. Discover the good points in yourself and others, and Finding how to serve God with every aspect of your being: Your mind, Your talents, Your emotions. Breslov teachings from Rabbi Dror Moshe Cassouto, Jerusalem, Israel. Torah Shiur / Shiurim. There’s more, but you can click the link I provided above and read all of the content for yourself. Recently, I wrote a blog post called Not a Noahide, in which I was reminded in the comments section, I probably should have called “More than a Noahide.” I also wrote a companion piece titled Talmidei Yeshua which addresses what we Judaicly-aware Gentiles in Yeshua (Jesus) should call ourselves and what that’s supposed to mean (an ongoing process of self-definition). They both were inspired by a source that attempts to draw parallels between Noahides and we non-Jewish “Talmidei Yeshua,” or a population that’s more commonly known as Messianic Gentiles. I mentioned the “ongoing process of self-definition” above, but this is also a process of trying to understand the role of the non-Jew in Jewish religious and communal space. A Noahide’s role is well-defined by the various branches of Judaism, but not so the role of the “Talmidei Yeshua” in Messianic Jewish space. But, unless you’ve already looked at the nearly seven minute video of Rav Cassouto’s response to the question at hand, you probably want to know what he said. Here are my rough notes, which I typed into notepad as I was listening to the Rav speak. Halachically no. Must violate some portion of shabbat. 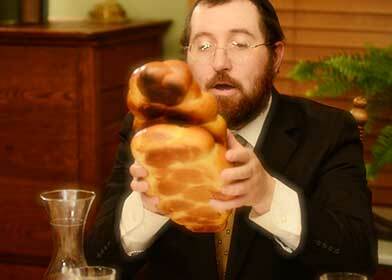 Any Gentile who does observe Shabbos must be punished horribly. Not that they don’t want us to keep shabbos, but it was a gift to Israel from Hashem. To do so, they must convert to Am Yisrael and the converts are loved in six ways, and born Jews are loved in five. The purpose of our life is to be humble and me must be humble that we are not Am Yisrael. A Gentile can believe in the One God, but may still not believe that God chose the people of Israel as the chosen nation and they have certain priorities and privleges that other nations don’t have. 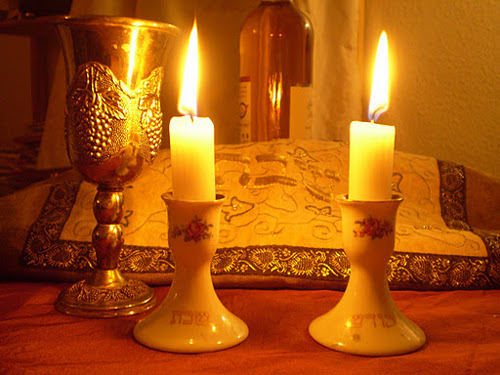 We can enjoy shabbos but need to violate Shabbos in a minor way like turning on a light. Not allowed to receive the Shabbos like Am Yisrael. The purpose is to be humble. Be humble and crown Hashem and to serve Him. Gentiles level of doing this is less than Am Yisrael. If you convert, your level is elevated to Am Yisrael. These are rough notes, so they may seem a tad disjointed. The bottom line is that halachically, Gentiles are not to observe the Shabbat in the manner of Am Yisrael because we are not Am Yisrael. We cannot claim to have fulfilled the mitzvah of Shabbat observance in the manner of the Jews. 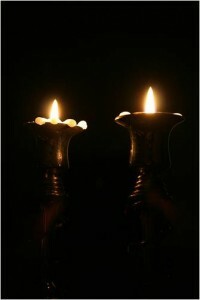 However, if we not only acknowledge the existence of the One God but also that He is the God who chose Am Yisrael to be elevated above the nations, then we can appreciate the Shabbat in a similar manner to Am Yisrael, as long as we violate the Shabbat in some sense, such as turning on and off a light switch. Seems simple enough as far as it goes. To truly be able to observe Shabbos and fulfill the mitzvah, a Gentile must convert to Am Yisarel. The Rav also said that Hashem loves the convert even more than the born Jew, which is interesting. But I don’t believe Gentile Talmidei Yeshua are only Noahides by another name. I believe we are more. If I didn’t, then I’d have to admit that faith and trust in Yeshua is meaningless. If that were true, why did the Apostle Paul (Rav Shaul) approach the Gentile God-Fearers in the synagogues of his day and reveal to them the good news of Rav Yeshua? They were already God-fearers. What would have been the point? The matter of halachah and Shabbos observance by the Gentile Talmidei Yeshua has been a hotly debated topic in the Messianic blogosphere and many other venues over the years. I’ve commented on this many times, including in Messianic Jewish Shabbat Observance and the Gentile. I doubt we can draw a direct parallel between Rav Cassouto’s commentary and the various opinions on the same topic in the Messianic realm. It’s difficult to reconcile this with what we read in Isaiah 56, although I’ve certainly tried. For a variety of reasons I’ve written about at length previously, I don’t particularly keep a Shabbat of any sort. I certainly don’t want to attempt anything that would approach the level of observance of my Jewish spouse, and her’s isn’t what you’d call “Orthodox” (and I’ve been chided by her in the past for trying). As I write this, she’s preparing to go to shul for Shabbos services, which pleases me. I suspect that in Messianic Days, the people of the nations will likely keep some sort of Shabbos, but how that will compare to Jewish observance, I cannot say. In spite of the opinions of many and what they teach, I think the specific details aren’t definitively available. That said, I suspect that, just as the Acts 15 Jerusalem letter to the ancient Gentile “Talmidei Yeshua” defined a less stringent level of observance than that incumbant upon Am Yisrael, our Shabbat observance, even in the Kingdom of Heaven, will still not be quite the same as that of the Jews. So perhaps in the present age, we have a bit of latitude as to how we choose to honor Hashem on Shabbos. I know when I say that, I drive certain people nuts. Especially in religious terms, we like to have our lives well-ordered and highly specified. We want the rules and then we want to either obey those rules as Holy edicts from Heaven, or to adapt those rules and then say to ourselves that our adaptation is the Holy edict from Heaven (as opposed to the “man-made rules” of the Rabbis, who we are nonetheless sourcing). We are more than Noahides, but what we are remains indistinct, at least as an overarching set of standards for we “Talmidei Yeshua.” According to the Nanos and Zetterholm volume Paul Within Judaism, there may not have been a definitive set of standards and roles, even for our ancient counterparts. That’s also something that drives people nuts, but we can’t reasonably fill in the gaps in our knowledge with our imagination (although a great deal of theology and doctrine in certain circles does this to one degree or another). All I’m doing here is attempting an honest (however brief) examination of the topic from the perspective of an “average guy”. Face it. I’m no scholar, leader, teacher, or pundit. I’m just a person trying to figure it all out who happens to write about that journey. What does that mean to you as the non-Jewish disciple of Rav Yeshua (Jesus Christ)? Right now, it can mean whatever you want it to mean in terms of your own conscience and your understanding of the message of the Bible. The Bible is highly biased toward Israel and the Jewish people, so we only have certain portions that directly speak to the nations. Interpreting those correctly, particularly within a Jewish document defining a Jewish context and covenant relationship with Hashem, is no small task. Neither is our individual relationship with God. We progress one step at a time with the understanding that our movement is not at all linear. We learn by doing. Learn to do good. Seek justice. Aid the oppressed. Uphold the rights of the orphan. Defend the cause of the widow. What Can Non-Jews Learn From Jewish Shabbos Observance? Shabbat is a time to re-connect with family and friends, a time to bring sanctity and peace into our lives. But the real secret of Shabbat is that we can bring its gifts into the rest of the week. Here are seven lessons Shabbat can teach us that have the power to transform our weekdays. 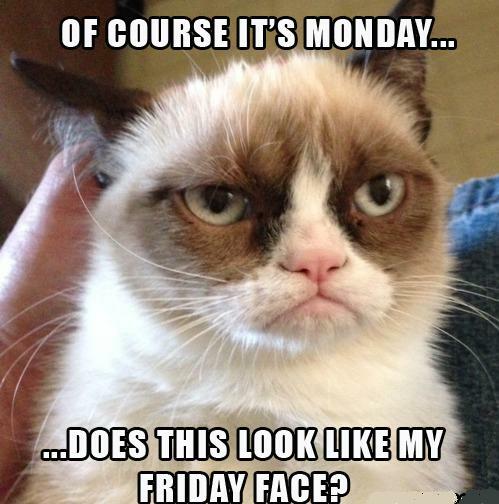 Like a lot of people who have a traditional Monday through Friday work week, I dislike Mondays. It’s tough readjusting from being able to sleep in and having a more relaxed day on Saturday and Sunday to waking up and driving to work while it’s still dark out. So I was intrigued when I read the title of Gutfreund’s article. Then when I started reading the content, I was confused. How can you leverage Shabbat, a unique day in the Jewish seven-day week, to do away not only with “Monday blues,” but the frustrations of all of the days of the typical work week? After all, observant Jews refrain from many activities on Shabbat that they freely partake of the other six days of the week. You can’t have Shabbat for the full seven days, can you? You can click the link above to read Gutfreund’s short article and see how (or if) she makes her point, but the general idea is to take elements or principles from Shabbat observance and apply them to your day-to-day life (well, Jewish day-to-day life since she’s writing to a Jewish audience). And while we non-Jews don’t have a specific commandment to observe Shabbat (at least in the manner of Jews, depending on how you interpret certain portions of Scripture), it may not be too much of a stretch to say that some of what Gutfreund’s article suggests might have more universal applications. First things first: If Shabbat is a time to draw closer to our family and to God, we can still do that during the rest of the week, at least at specific moments. Even if we are too busy (travel for work for example), we can still keep the importance of family and God close to our hearts and realize they are the priority…they are why we are working in the first place, so we can devote our resources to them. Elevate the physical: This is a rather contra-Christian perspective since the Church emphasizes the Spiritual and tends to minimize the physical. On the other hand, we live in a physical world and everything we need in a material sense, comes from the hand of God. We can choose to recognize the presence and provision of God in everything around us any day of the week. Share with others: I suppose this should be a no-brainer and certainly not limited to a single day of the week. Be in the moment: Pay attention to what’s really important in your environment on a moment-by-moment basis. This is pretty hard to do since, during work, you have responsibilities, some important, but others you just think are important. However, we can still take breaks in our routine to re-connect with the presence of God. Gratitude: Again, this should be a no-brainer and it goes back to the realization that everything we have at any moment issues from the Almighty. How can we not be grateful daily? Learning: While an observant Jew may have more time for Torah study during Shabbat, many Jews study on a daily basis, when they first get up, on their lunch hour, or in the evening. Since many Christians also understand the value of daily devotionals, this shouldn’t be difficult for religious non-Jews to grasp. Unity: Of course Gutfreund means Jewish unity, which, as non-Jews, does not include us, but we can take these principles and apply them to a sense of unity we have with all disciples of Yeshua (Jesus). We can also recognize that we can stand in solidarity with Israel and the Jewish people, and particularly Messianic Jews, since we not only share these general principles with them, but also recognize the living revelation of our Rav and anticipate the return of Moshiach. Some non-Jews in Messiah choose to observe or guard a Saturday Shabbat in one manner or another. While we, by definition, cannot actually fulfill the mitzvah of observing Shabbos the way a Jewish person can, it is still possible to perform many of the practices associated with Shabbat and allow a measure of rest and reconnection to penetrate our lives as well. If my wife observed Shabbat in a more traditional manner in our home, then I would as well, but as the Jewish member of our marriage, she would need to take the lead. I’m very pleased that on most Saturdays, she goes to shul, even though that’s not something she chooses to share with me. I’ve said before that one of the roles of non-Jews is to assist Jewish people in performing greater levels of observance. If my not sharing her worship with her frees her to have more affiliation with local Jewish community and to draw nearer to Hashem on Shabbos, then perhaps that’s a mitzvah that I, as a non-Jew, can uniquely fulfill. Recently, the discussion on this blog post focused on methods of deriving mitzvot for non-Jews from the Apostolic Scriptures. I don’t know if we could find a commandment directing Gentiles to facilitate greater Torah observance in Jewish friends and family members, but I’m satisfied that I am performing a duty for my spouse in accordance with Hashem’s wishes for Jews to worship on Shabbos. I made a comment in one of my recent blog posts that having rendered a simple, basic definition for living a life of holiness, what else should I write about? After all, once the path is before me, my only job is to walk the path, not write endless commentaries about it. But somewhere in my comments, I also mentioned the need to address, among other things, certain sections of Isaiah 56, from which I quoted above. I have largely defined a life of holiness for a non-Jewish disciple of Rav Yeshua (Jesus Christ) apart from the vast majority of Jewish lifestyle and religious observance practices. To live a life of holiness and devotion to God, it is my opinion that we non-Jews have no obligation observe the traditional mitzvot associated with religious Jewish people. In addition, the foreigner will be joyful in Hashem’s house of prayer (the Temple) and it will be called “a house of prayer for all peoples,” which seems to indicate the people of every nation. In doing some research for today’s “meditation,” I discovered I’ve written about the Book of Isaiah before. Isaiah 56 is the first time in the entire sixty-six chapter book that says anything specifically about how the nations will serve God. I was wondering if the word “foreigner” in verse 3 might indicate “resident alien” and somehow distinguish between Gentile disciples of the Messiah and the rest of the nations, which could bolster the claim of some that these “foreigners” merge with national Israel, but these foreigners, also mentioned as such in verse 6, are contrasted with “the dispersed of Israel” referenced in verse 8. This is the main indication that foreigners among Israel will also observe or at least “guard” the Sabbath (some Jewish sages draw a distinction between how Israel “keeps” and the nations “guard”), and the question then becomes, grasp what covenant tightly? Is this a reference to some of the “one law” sections of the Torah that laid out a limited requirement of observance of some of the mitzvot for resident aliens which includes Shabbat? I won’t attempt to answer that now since I want to continue with a panoramic view of Isaiah in terms of the relationship between Israel and the nations (and since it requires a great deal more study and attention). I’m reminded that in very ancient times, the “resident alien,” a Gentile who intended for his/her descendants in the third generation and beyond, to assimilate into Israel, losing all association with their non-Israelite ancestors, had a limited duty to obey just certain portions of the Torah mitzvot in the same way as a native Israelite. The “one law” didn’t cover all of the mitzvot, but only a small subsection, such as a limited guarding of the Shabbat, which I mentioned above. Also, my understanding of the legal and scriptural mechanics behind the Acts 15 Jerusalem letter edict, is that the non-Jewish disciple of Rav Yeshua was to be considered, in some manner, a “resident alien” within the Jewish religious community of “the Way,” Jewish Yeshua-believers. Putting all this together, we may infer some limited form of Torah observance for the non-Jew in Messiah, but beyond what we have before us so far, exactly what that entails may not be entirely clear. Although the statement in Isaiah 56 saying that the foreigner was to “hold fast My covenant” seems general, there are only two specific areas mentioned: sabbath and prayer. Of course, as I said before, I think there’s a certain amount of justification for non-Jews observing the Shabbat in some fashion based both on Genesis 2 in honoring God as Creator, and Isaiah 56 which predicts world-wide Shabbat observance in the Messianic Kingdom. This doesn’t seem to be limited to the resident alien temporarily or even permanently dwelling among Israel, but includes any non-Jewish visitor who, for the sake of God’s great Name, comes to Jerusalem and prays toward (facing) the Temple. Of all the commandments incumbent upon both the Jew and the Gentile believer, it seems that prayer is to be shared among all peoples. But what about Shabbat or, for that matter, any of the other commandments? I want to limit myself (mostly) to Isaiah 56 since it seems to be a sticking spot for many non-Jews who believe it acts as a “smoking gun” pointing toward the universal application of all of the Torah commandments to everyone, effectively obliterating everything God promised about Jewish distinctiveness. Since non-Jews are so prominently mentioned in this chapter, I decided to see what (non-Messianic) Jews thought of this. The easiest (though highly limited) way to do so was to look up this portion of scripture online at Chabad.org see read Rashi’s commentary on the matter. 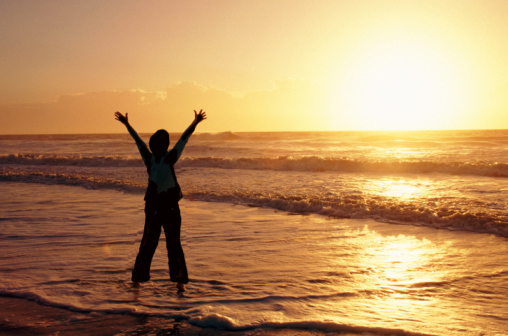 “The Lord will surely separate me from His people,”: Why should I become converted? Will not the Holy One, blessed be He, separate me from His people when He pays their reward. My best guess at the meaning of this statement is that the Gentile should not convert to Judaism since, when Hashem gives Israel its reward, won’t the convert be set apart from His people? But I’m almost certainly reading that statement wrong. It makes no sense to me, since converts, according to the Torah, are to be considered as identical to the native-born. I don’t have an answer for this one. for all peoples: Not only for Israel, but also for the proselytes. I will yet gather: of the heathens ([Mss. and K’li Paz:] of the nations) who will convert and join them. together with his gathered ones: In addition to the gathered ones of Israel. All the beasts of the field: All the proselytes of the heathens ([Mss. and K’li Paz:] All the nations) come and draw near to Me, and you shall devour all the beasts in the forest, the mighty of the heathens ([Mss. and K’li Paz:] the mighty of the nations) who hardened their heart and refrained from converting. Referring to “foreigners” as proselytes or non-Jewish converts to Judaism is rather predictable and an easy way to avoid the thorny problem of Gentile observance of Shabbos or some other sort of association with Israel. The last commentary seems to make some mention of “heathens,” possibly meaning that, in the end, Jews and non-Jews will turn to God, but ultimately, it seems, Rashi expects all non-Jews to convert to Judaism as their only means to become reconciled with Hashem. My general knowledge of Jewish belief (and I suspect I’ll be corrected here) indicates that non-Jews will exist in Messianic days and those devoted to Hashem will be Noahides or God-fearers, just as we have those populations in synagogues today. They will have repented of their devotion to “foreign gods,” which from a more traditional Jewish perspective, will include (former) Christians. So without further convincing proofs, I’m at an impasse. I can definitively state that part of a life of holiness for both a Jew and Gentile is prayer to the Most High God. Of course, that should be a no-brainer. The Shabbat is a bit more up in the air. While I can’t see any real objection to a non-Jew observing a Shabbat in some manner, there doesn’t seem to be a clear-cut commandment. In Messianic Days, Shabbat may well be observed in a more universal manner, though the exact praxis between Jews and Gentiles likely won’t be identical. As the discussion in How Will We Live in the Bilateral Messianic Kingdom indicated, while the vast majority of the Earth’s Jewish population may reside in the nation of Israel in Messianic Days, there may be some ambassadors assigned to each of the nations, and thus, there may be an application of the Shabbat in the nations for their sake and for the sake of Jews traveling abroad for business or leisure reasons. That’s supposition on my part, but it’s not entirely out of the ballpark. In any event, Isaiah 56 doesn’t give us as much detail about non-Jews in relation to the Torah as some folks might think. Pray? Yes. Pray toward the Temple in Jerusalem, even if you are outside Israel? Maybe. Couldn’t hurt. Observe the Shabbat? Maybe in some fashion. I think this part will become more clear once Messiah returns as King, establishes himself on his throne in Jerusalem, and then illuminates the world. In terms of what I’ve written before, prayer should already be part of a simple life of holiness, so Isaiah 56 doesn’t add to this. Some form of Shabbat observance is allowable but may not be absolutely required for the Gentile in the present age. Isaiah 56 doesn’t make it clear that a Gentile “guarding” or not “profaning” the Shabbat is also “observing” it, and even if we do observe, there’s still not an indication that such observance would be identical to current Jewish praxis. Bottom line: when in doubt stick to the basics. How Can Any Gentile Survive Without the Sabbath? Speak to the Children of Israel and say to them: The appointed times of Hashem, that you are to designate as holy convocations; these are My appointed times. That is the $64,000 question, isn’t it. There certainly isn’t one, straightforward reply. The author of the above quoted mussar proposes the question but not the answer. Apparently, there is no Rabbinic response to God’s provision for the Goyim (or lack thereof) relative to Shabbat or any sort of occasion whereby a non-Jew can elevate him or herself and draw nearer to God. Perhaps it’s one of the many reasons why the ancient Gentile disciples of Messiah divorced themselves from the Jewish communities originally created by Paul and founded their (our) own Gentile-based religion called “Christianity”. The Church solved this problem by creating their own weekly Holy Day on Sunday, and until relatively recently in history, treated Sunday in a manner similar to how Jews observe a Saturday Sabbath. However, the past 50 years or so has seen, particularly in the Western nations, a diluting of Sunday “Sabbath” observance whereby Christians go to church Sunday morning and then go out to lunch just prior to playing a few rounds of golf. The day is only special for the few hours they are in church, and even then, social encounters and conversations can largely be made up of secular material. I’m not saying there aren’t a lot of Jewish people who only marginally observe a Shabbat or observe it not at all. My daughter goes to work on Saturday and my wife, while she does attend shul in the mornings and into the early afternoon, will resume her regular weekday behaviors upon returning home. 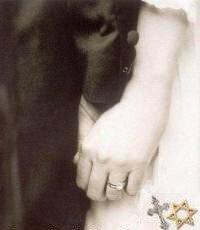 I’m not speaking ill of my spouse, of any other Jew, or for that matter, any Christian. It’s just that how we see the Sabbath and our relation to this day as well as to God is highly variable. Is the answer to how a Gentile should, at least in an ideal sense, respond to the Jewish Shabbat to be found in Messianic Judaism? 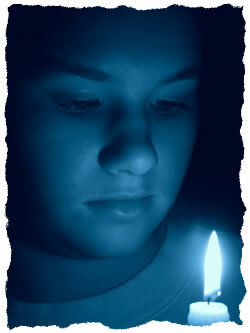 What makes you think that among the various “Messianic Judaisms” currently in existence, there is a unified response? Your view that God is supremely upset about which day people choose to worship on is very un-Jewish. Shabbat is about rest and is not a prescribed day of worship. This is an error lying at the root of your entire theory. It is also an erroneous view of God, as if one of the great sins has to do with which day of the week people hold worship services on. I strongly encourage you to reexamine your views which come up short in terms of biblical interpretation and which sound a lot more like they are influenced by Ellen G. White than Torah and Gospel. non-Jews were never commanded to observe Shabbat (Exod 31:13, it is between Israel and God and Romans 10 agrees). And the majority of Christians keep no Sabbath (Sunday is not a Sabbath for most). I do not think any of the Ten Commandments were addressed to non-Jews. 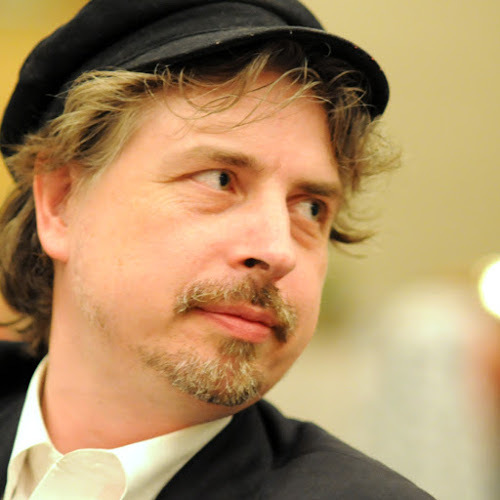 So although Derek is the Rabbi of a Messianic Jewish congregation which presumably has a significant number of non-Jewish attendees, and also that he has spoken at many Christian churches and similar non-Jewish venues on topics related to Messianic Judaism and its relationship to believing Gentiles, he also seems to hold a point of view quite similar to the Orthodox Jewish authorities. He doesn’t say that Gentiles are forbidden to observe Shabbat, just that, as a Torah commandment, it doesn’t apply to us in the slightest. It is not uncommon to hear people refer to the appointed times as the Jewish festivals. This is true in that God gave His appointed times to the people of Israel. He told the Israelites, “The LORD’s appointed times which you shall proclaim as holy convocations—My appointed times are these” (Leviticus 23:2). The Jewish people are the wardens of God’s calendar. However, God does not refer to them as Jewish festivals. He refers to them as “my appointed times.” They are God’s holy days. Paul asks, “Is God the God of Jews only? Is He not the God of Gentiles also? Yes, of Gentiles also” (Romans 3:29). The Bible never offered Gentile Christians any alternative festival days. To say that Gentile believers are not expected to keep God’s appointed times is the same thing as saying that Gentile believers are not supposed to have any holy days or days of worship. Neither the Gospels nor the Epistles grant the Gentile believers their own special festivals. In the days of the Apostles, both Jewish and Gentile believers observed God’s appointed times together. They met in the synagogues and in the Temple on the Sabbath and festival days to celebrate and observe God’s holy days. When Gentile Christianity left the cradle of Judaism, the Gentile Christians began to neglect the appointed times. The Sabbath day was replaced with Sunday observance. The timing of Passover was changed. The other festivals fell into disuse. Is this what God intended for believers? Since this is taken from the Torah Club subdomain of FFOZ, I have to assume it was written (though I could be wrong) by D. Thomas Lancaster, the spiritual leader at Beth Immanuel Sabbath Fellowship which touts itself as “Messianic Judaism for the Nations.” Mr. Lancaster is also the primary contributor to FFOZ’s Torah Club content. I’ve written a fair amount on Gentiles (and particularly me) and their (our/my) relationship with Shabbat, such as in The Shabbat Project for the Gentiles, Messianic Jewish Shabbat Observance and the Gentile, My Shabbat that Wasn’t, and The Shabbat that Was. The last three blog posts were not only part of my review of Aaron Eby’s book/siddur First Steps in Messianic Jewish Prayer (also an FFOZ publication) which was written by Eby specifically for a non-Jewish Messianic and Christian audience, but my chronicle outlining my own efforts to truly (or as truly as is possible for me) observe Shabbos using Eby’s book as a guide. I can’t say I did a very good job of it, but part of that has to do with a lack of practice. One properly observes Shabbat by having many months or years (or a lifetime) of practice observing Shabbat, ideally in the company of people who know what they’re doing. So we have the Orthodox Jewish perspective that Gentiles are actually forbidden from observing the Shabbat accompanied by astonishment in how we Gentiles manage to survive without it. We also have FFOZ’s opinion that God is not just a God of the Jews but of the nations as well, and that at least Gentiles are allowed to observe the Moadim, presumably including the Shabbat. It is true that the Apostles never commanded the Gentile believers to keep the appointed times, but neither did they tell them not to. They were silent on the matter. In those days, the idea of not keeping the appointed times simply had not occurred to anyone. Perhaps if there had been no schism between the Jews and Gentiles nearly twenty centuries ago, the issue would be moot. 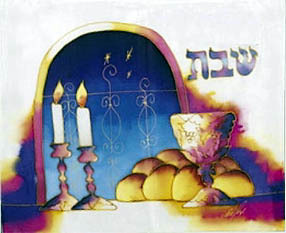 Halachah would have been developed regarding “Messianic Gentile” observance of Shabbat, the Appointed Festivals, and a great many other things we call “Jewish,” and then the halachah would have been refined over the centuries so that today’s expressions of Messianic Judaism would each have their own traditions and practices defined for Gentile members. However, maybe the issue isn’t all that important, at least on a global scale. The churches have their answer to “The Lord’s Day,” and each Messianic community that includes Gentile members or attendees has their official policies regarding non-Jews and Sabbath. Ultimately, lacking a clear Biblical directive, each of us has to negotiate his or her relationship with God, and each non-Jew has to decide how he or she (or if he or she) should address the puzzling issue of a Shabbat for the Nations. I wrote quite recently that if it came down to a choice, it’s more important for Jews to observe Shabbos than for Gentiles. In the microcosm of my family, that’s how it works today (however imperfectly). Of course there are those who want to have their cake and eat it too, but I’m not convinced you can solve knotty problems such as these by saying “the (Torah) rules are all the same for everyone, end of story,” and this narrative can appear a little unusual from time to time (I like comic books too, but this comparison caught me by surprise). Even setting aside larger, normative Christianity’s opinion on the matter, authorities within Messianic Judaism let alone the wider realm of Jewish thought differ in how or if Shabbat applies to the Gentile, whether a disciple of the Master or not. Who among us has not wondered how the non-Jews can survive without the Sabbath! So, given all of the benefits of Shabbat observance for the Jewish people, how do the rest of us survive? 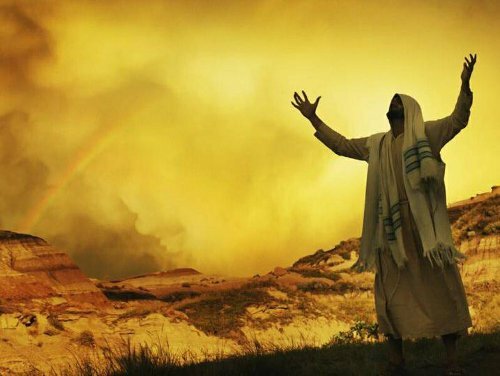 Each Sabbath refreshes anew the special bond that Hashem has with His people, and affords every Jew the chance to turn away from the weekday world and bask in the radiance of the Shechinah. Thus, every Sabbath is a festival; but rather than commemorating a single event, it serves to strengthen and nurture the connection between the Jews and their Father in Heaven. It is all too easy to fall into the trap of regarding the Sabbath simply as a day of rest, and to use it only as a chance to catch one’s breath before heading back into the grind of the following week. The folly of this approach, too, is highlighted by the location of the Sabbath among the festivals. Nobody makes the mistake of looking at Pesach or Succos as times of rest! These festivals are clearly identified as times to celebrate the closeness and special care that Hashem has demonstrated toward His people. So if we accept Derek’s assertion that Shabbat is not specifically a day of worship, we can also say that, at least in Orthodox Judaism, it’s not primarily just a rest day either. Like the Appointed Festivals, it’s a time of celebration, a day to rejoice in drawing nearer to God, at least for the Jewish people. But among the varying and madding opinions of the relevant pundits, how do we non-Jews survive without a Sabbath or, like our First Century counterparts, the Gentile disciples Paul made in the diaspora, can we too somehow join Jewish community and simply enjoy the blessings of their Shabbat observance even if, as a matter of covenant, it is not also ours? I know someone is going to bring up Isaiah 56 as “proof” that everyone everywhere is commanded to keep the Shabbat in the current age, but are we to behave like partisans, freedom fighters representing a (sort of) “King in Exile,” obeying the laws he will establish once he returns as if they are already in effect? 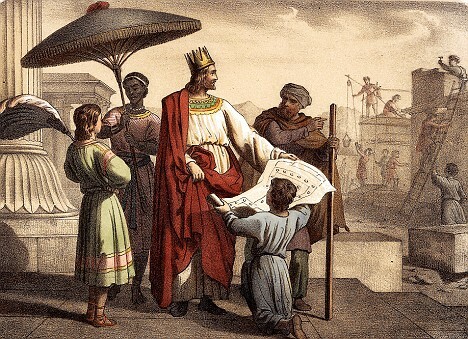 Remember, in Messianic Days, King Messiah will not only rule over Israel, but the Gentile countries as well, as we will be vassal nations under the authority and protection of Israel’s Monarch. In those days, the will of the Master will be unequivocal. Today however, Biblical hermeneutics being what it is, there is room for doubt and multiple conflicting learned opinions, and as I said above, that leaves it up to each of us, our conscience, and our relationship with God, to decide how to navigate the rather murky waters of Gentiles and Shabbat. How can we presume to observe it? How can we survive without it? And the Lord said to Moses: Speak to the Israelite people and say: Nevertheless, you must keep My sabbaths, for this is a sign between Me and you throughout the ages, that you may know that I the Lord have consecrated you. The Talmud (Shabbos 10b) describes Shabbos as a special gift the Almighty gave to the Jewish people. My wife is continuing to renew her relationship with Hashem. Today (Shabbos, as I write this), she went to the Chabad for Shabbat services. I couldn’t be more delighted. I’ve mentioned before that I believe the duty of non-Jews in Messiah and particularly those of us who identify as Messianic Gentiles, is to support, and if possible, inspire a return to greater Torah observance for Jewish people, and frankly, whether they’re disciples of Yeshua or not. But without me doing a thing, something remarkable happened this morning. My wife (who is not Messianic in the slightest) went to Shabbat services. As I said above, I couldn’t be more delighted. She’s been lighting the Shabbos candle in our home somewhat intermittently over the past few months, but this is the first time in a long time when I’ve found her all dressed up and heading out the door to go to the Chabad to worship. I’ve tried my hand at personal Shabbat observance and let’s say the results weren’t spectacular. Shabbat observance for anyone requires a great deal of discipline and preparation and really, I think it can only be done when it is fully integrated into your lifestyle. It would probably be best if you grew up in an observant home, but short of that, practicing and striving to observe Shabbos over the course of months, ideally with a knowledgable Jewish person guiding you, would certainly be effective. 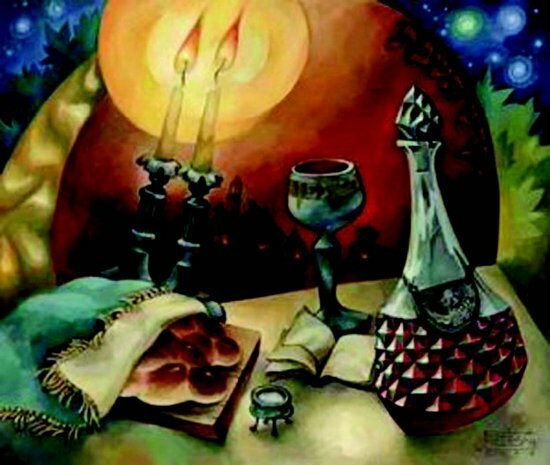 The Chofetz Chayim gave two parables to illustrate how Shabbos serves as a sign of the relationship between the Jewish people and the Almighty. When two people are engaged to be married they send each other gifts. Even if difficulties arise between them, as long as they keep the gifts that they received from each other we know they still plan to get married. But if we see that they have returned the gifts, then we know that the relationship between them is over. Similarly, as long as a person observes Shabbos we see that he still has a relationship with the Almighty. Granted, she drove to services and it’s possible she will perform other melachah today, but this is still a powerful leap forward. Yes, this is midrash so we might not be able to take it literally, but I believe there is a certain truth involved in Jews performing the mitzvot with Kavanah, the return of Messiah, and the New Covenant promises of God to Israel, the Jewish people, being realized. Then I will sprinkle pure water upon you, that you may become cleansed; I will cleanse you from all your contamination and from all your idols. I will give you a new heart and put a new spirit within you; I will remove the heart of stone from your flesh and give you a heart of flesh. I will put My spirit within you, and I will make it so that you will follow My decrees and guard My ordinances and fulfill them. You will dwell in the land that I gave to your forefathers; you will be a people to Me, and I will be a God to you. I am the bread of life. Anyone who comes to me will not be hungry, and one who believes in me will not thirst again. I don’t believe that Yeshua-devotion and the New Covenant promises of God to Israel are mutually exclusive. In fact, they are inexorably tied to one another, since Messiah is the mediator of the New Covenant and he came the first time to lay the foundation and to make the first down payment of the New Covenant. 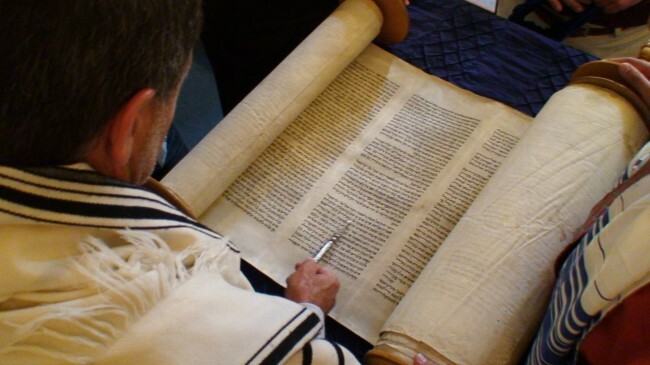 Rabbi Derek Leman has been spending the past several weeks on his blog laying out his theological perspective on a Jewish understanding of the Bible including the Apostolic Scriptures, as it describes Hashem’s relationship with the ancient and modern Jewish people. One of the things he said, and I agree with him, is that God didn’t abandon the Jewish people, and switch to the Christian Church at the end of the Biblical narrative. He can be found just as commonly in the Synagogue as in the Church (and having worshiped in a synagogue setting in years past, I can attest that His Presence was there). So I don’t believe that God has abandoned my Jewish wife anymore than He has abandoned me for being a Christian (or Messianic Gentile if you prefer). I do believe that God expects my wife, as a Jew, to observe the mitzvot, including the Shabbat, since they were given specifically to the Children of Israel (as opposed to all mankind) at Sinai. 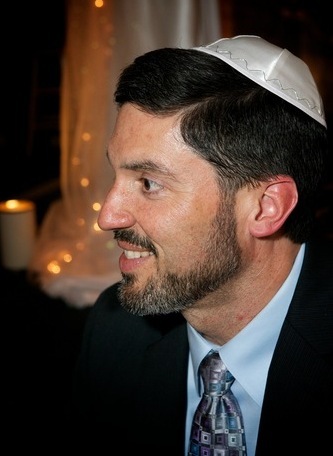 The existence of a large number of “grafted in” Gentiles does not take away uniquely Jewish obligations and duties to God, and if my being a disciple of Yeshua means anything at all, then it should mean that I will do everything in my power to support and encourage my wife to observe the mitzvot associated with Shabbos. So even if she didn’t light the Shabbos candles last night but she davened at shul (today) on Shabbos, then in accordance with her deeds, may Hashem reward her. Rashi comments on this that rest on Shabbos should be a permanent rest and not merely a temporary rest. I heard from Rabbi Chayim Shmuelevitz the following explanation: A temporary rest means that a person has not really changed his inner traits, but he merely controls them on Shabbos. He still has a bad temper and has a tendency to engage in quarrels, but because of the elevation of Shabbos he has self-discipline and these traits are not manifest. But the ultimate in Shabbos observance is that a person should uproot those negative traits which are contradictory to peace of mind on Shabbos. One needs to uproot such traits as anger and the tendency to quarrel with others. Only then is your rest on Shabbos a complete rest. I’m choosing to interpret this a bit differently than I think Rashi and Rabbi Pliskin have in mind. I think that when a Jewish person observes some portion of Shabbos but not others, they are achieving a sort of temporary rest. Only when a Jewish person observes all of the aspects of Shabbos do they achieve the permanent rest they find in the complete acceptance of Hashem’s gift to Israel. I’m keenly aware that my wife very likely sees me as an obstruction to her Shabbos observance since, after all, not only am I not a Jewish husband, I am in fact, a Christian husband, and like most Jews, she sees Christian theology, doctrine, and practice as the antithesis to religious Judaism and Torah observance. I probably embarrassed her this morning, though I didn’t mean to. I spent about an hour and a half at the gym and when I got home covered in sweat, she was just coming out of our bedroom dressed quite nicely. I was startled and although I thought I knew the answer, I asked where she was going. “Where do you think?” she responded. I was thrilled she was going to services but she said I was “acting weird about it.” I guess I didn’t get my actual emotions across, but then I know she doesn’t want me to comment too much about her observance or relationship with Jewish community. In the end, if my staying home and doing chores on Shabbat somehow frees her to go to synagogue, daven with Jewish community, and to observe more of the mitzvot, then I am content to be in that role. This is the role, at least from my tiny viewpoint, that I believe God has assigned me as a Messianic Gentile. The rest is in Hashem’s hands.